Data that tells you what is working in your customers’ experience of your brand, products, and or services; data that shows you where your customers experience delight, pain, and frustration are important for training sales, marketing, product, support, management or operations teams. But also seek neutral data—how, when, and where are customers buying your products and interacting with your representatives. Digging into the numbers and the narratives will paint the scenarios that your sales, marketing, product, support, management, and operations teams need to test and learn in order to create a best-in-class experience. You need to start with an outside view, but the inside view is just as important if you are going to make positive change. Identifying the problem, seeking the right data, and conducting analysis are the three necessary steps that precipitate the development of a training program. Where can L&D professionals gain access to customer data? Recent research from Gallup tells us that organizations that leverage customer behavioral insights outperform peers by 85 percent in sales growth and more than 25 percent in gross margin. Entire industries have sprung up around ways to better understand and predict consumer behavior. There are independent enterprises that gather data across companies, and there are collections that your company is certainly building based on what is known about your current customers: loyalty information, location data, in-store purchases, and web clicks are ripe for mining. According to CIO, these types of customer data can be used to customize the experience and capitalize on loyalty. Of course, it is not up to the learning team to capture or analyze raw data. There are likely business partners who are already doing the groundwork of creating insights out of data points. The CRM tool your sales team uses is more robust than ever in the level of detail it contains. The personas your marketing team has created are more specific than ever, meaning these teams have a deeper understanding of the individuals they serve today and would like to serve in the future. So, L&D professionals by proxy have more information to incorporate into the programs being created to support these important parts of any business. 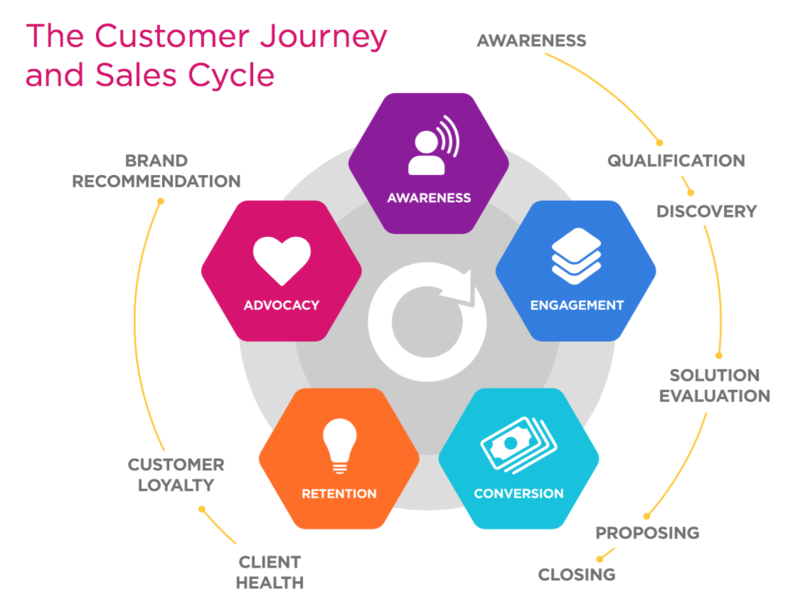 A leadership development or sales training will benefit from including examples of customer segmentation; business cases and sales techniques are always stronger when the voice of the customer is embedded. And the outcomes will translate into customer retention, new sales measures, and other KPIs the C-Suite cares about. 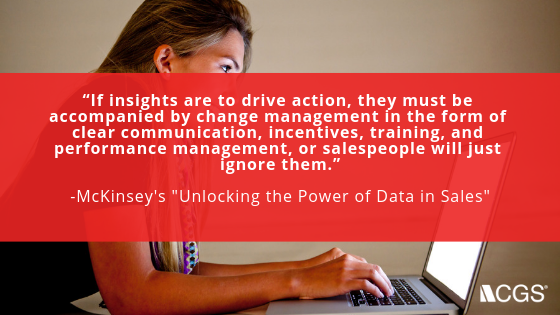 How do you identify that there’s an opportunity to use that data to inform internal operations, training or product releases? Analyzing data, both qualitative and quantitative, can help you solve any problem related to how your customer interacts with your company—as long as employees are open to change and empowered to try new ways of working. The first step is to clearly articulate the problem you are trying to solve; then you can experiment with the data. For example, the YMCA of the Greater Twin Cities realized they could be doing more to help their members thrive. The customer experience company Heart of the Customer (HoC) helped the Y maximize the opportunity to use customer data to improve retention. According to HoC’s use case, they set out to understand the early stages of members’ journeys, seeking answers to the following questions: “What led people to join the Y? What were their needs and expectations? What more could the Y be doing to encourage them?” with every intention of turning their findings into new initiatives. YMCA used journey mapping when Six Sigma wasn’t enough to help them bolster member satisfaction and loyalty. They decided on a segment of their population to study and invited a group to document their wellness journey so that stakeholders could get the outside-in view. What should you do with customer data once you’ve analyzed it? It might seem simple, but turning customer data into actionable data is a heavy lift that many teams find intimidating. Just like the customer journey, this road has many points at which things could potentially break down. Staying the course requires dedication, but the payoff is a meaningful and valuable transformation.